The big event news this month is… Italy! At last, registration is open for our first Live and Invest in Italy Conference… which we’ll host, this Oct. 17–19, in the city of Pescara—on the Adriatic coast of the Abruzzo region. The Abruzzo region has the benefit of both beaches and mountains—meaning there’s a buzz about the place in summer and winter—though nothing like the crowds you’d experience in Rome, Florence, or Venice. Abruzzo has been called the “greenest spot in Europe”… yet most of Italy’s visitors never set foot here. “With incoming travel numbers on the rise in the country, visitors are increasingly searching for lesser known and undiscovered regional destinations—and Abruzzo has it all. “This includes lakes, the Adriatic coastline, national parks, imposing mountain ranges, UNESCO heritage sites, some of the most beautiful medieval towns in the country, and an eclectic and diverse cuisine that changes from the beach to the mountains. This Oct. 17–19 is your chance to explore this extraordinary part of Old Europe for yourself, in the company of the experts who can help you prepare for a longer-term stay. 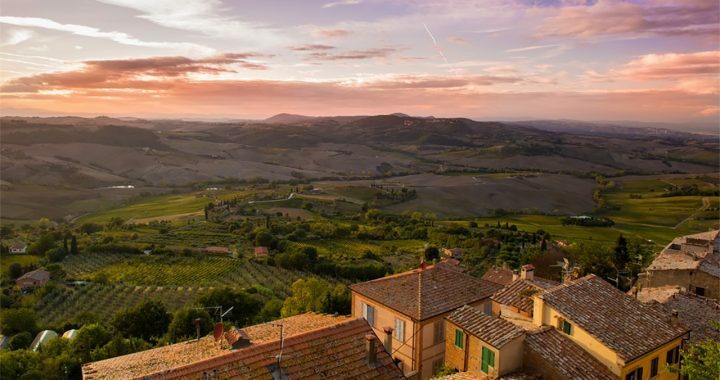 From the Alps to the Mediterranean coast, from country villages to mountain hideaways, we’ll introduce you to the real Italy—the good, the bad, the ugly, and the workarounds. No place is perfect… even in Italy (though, I’d argue, Abruzzo does come close). If you’d like to be among our guests in October, I urge you to book early. When you do, you’ll save US$500 on your seat with our Early Bird Discount. The first 25 readers to claim their seat in Pescara will qualify for VIP transfer service, front-row seating, concierge service, and more. Plus, LIOS Confidential readers save an extra US$50 with Coupon Code PREITALY50. You can reserve your seat—and review full details of VIP privileges and additional discounts—here. Posted in Live And Invest Overseas Confidential and tagged italy conference, live and invest overseas confidential, live and invest overseas italy conference, Valentine Fouche.